After a day's worth of shopping and exploring it was time for dinner, and we had decided to have claypot rice at Four Seasons Claypot Rice in Yau Ma Tei. 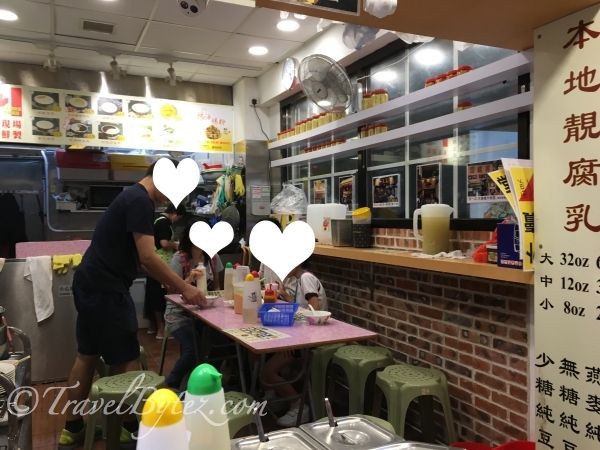 As we were slightly earlier, the eatery was not yet opened so we decided to pop by the little One Bean Curd Pudding Specialist 一豆花 stall on the opposite street, before Four Seasons Claypot Rice. It was still slightly drizzling, but thankfully the dessert stall was not that packed, with many people ordering take-aways. The stall itself is really small and can accommodate, at most, 10 people elbow to elbow. It was quite a novel experience sitting in such a tiny enclosure eating dessert. 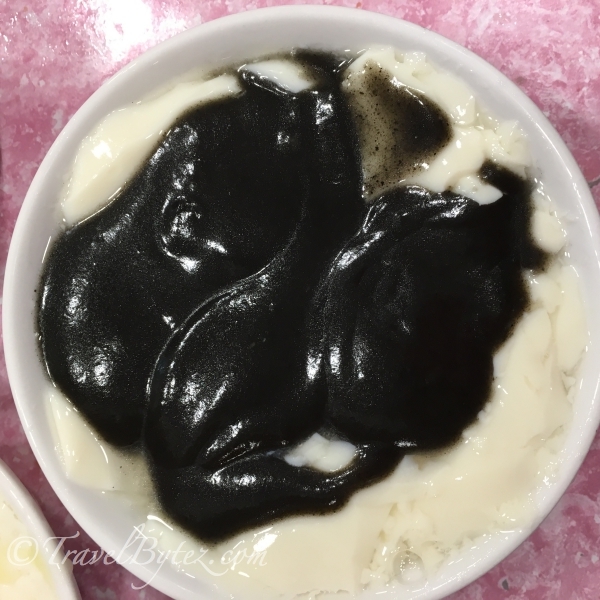 Most people might be more familiar with the beancurd being swimming in sugary syrup, which can be commonly found in Singapore. 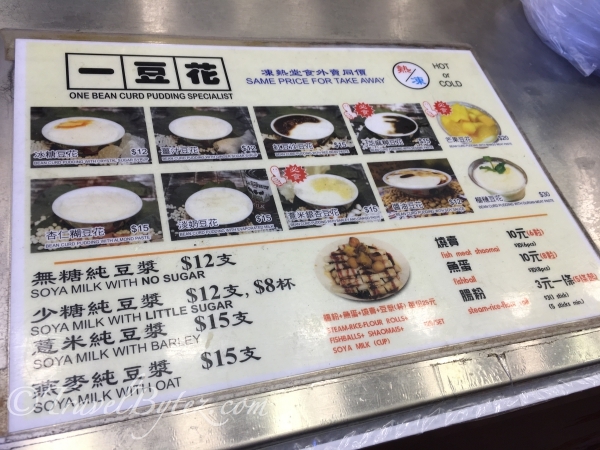 However, the version in Hong Kong is more au naturel: the beancurd is served it is basic form without any sugar or syrup, instead on the table there are a range of syrups you can select from depending on your preferences (i.e. orange sugar, ginger syrup or sugar syrup). 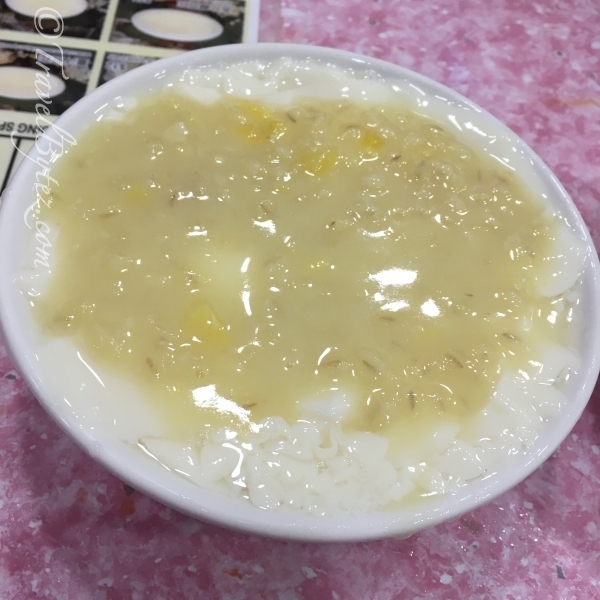 That is if you order the plain beancurd. For the adventurous, there are countless of flavors/toppings you can choose for your beancurd to spruce it up. 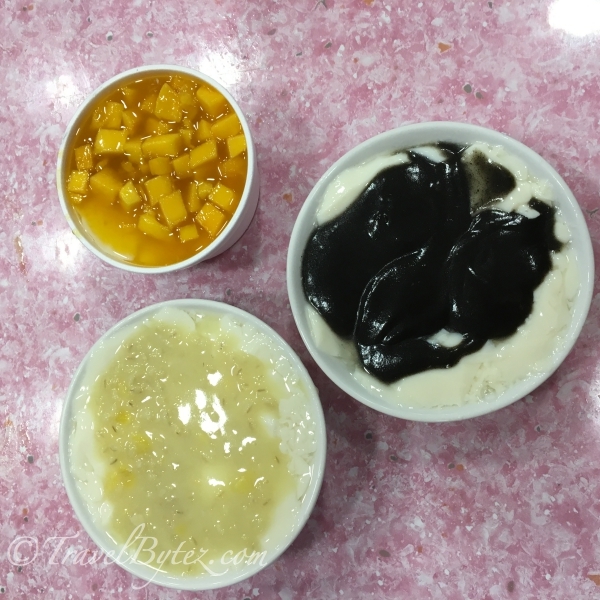 We choose the barley and ginko paste (HK$15), mango (HK$20), and black sesame (HK$15) flavors. 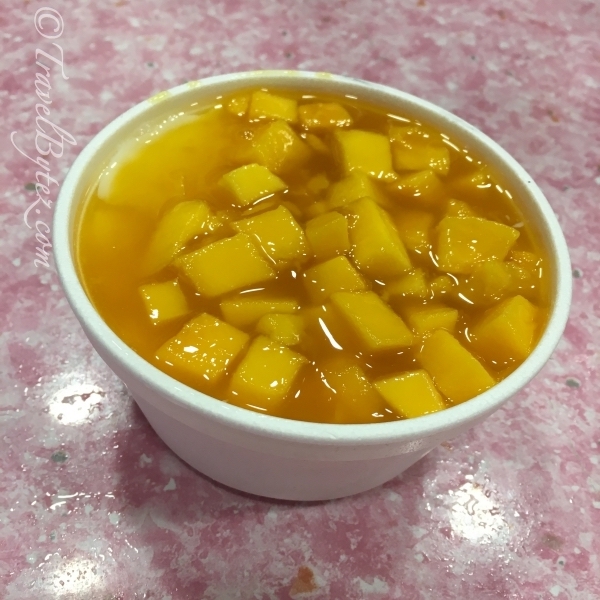 Other than the mango (which was cold), the other two were hot. You can choose have it hot or cold, depending on your preferences.